The U.S. convenience store industry boasts a total of 151,282 stores (as of December 31, 2013) across the country and posted $696 billion in total sales in 2013. Independent Retailer recently spoke with Jeff Lenard, Vice President, Strategic Industry Initiatives at The National Association of Convenience Stores (NACS). NACS is an international trade association representing more than 2,200 retail and 1,600 supplier company members. While 47 of the top 50 convenience store companies in the United States are members of NACS, the majority of its members are small, independent operators. More than 70 percent of the total NACS membership is comprised of companies that operate 10 stores or less as the convenience retailing industry continues to be dominated by single-store operators, accounting for 62.8 percent of all convenience stores. IR: What are the top categories/ products in convenience stores? Lenard: In 2013, 37 percent of in-store sales were on tobacco (cigarettes and other tobacco products). The next highest was foodservice (prepared and commissary food; hot, cold and dispensed beverages) with 18 percent and packaged beverages (soda, alternative beverages, sports drinks, juices, water, teas, etc.) accounting for 15.5 percent. The center of the store (candy; sweet, salty and alternative snacks) was 9.9 percent and beer was 7.9 percent. Meanwhile, foodservice was the category that drove profits, accounting for 29.1percent of gross profit dollars. Packaged beverages were second, accounting for 19.6 percent of gross profit dollars. While tobacco products constituted 37 percent of in-store revenue dollars, they accounted for only 18.7 percent of gross margin dollars. IR: What are your projections for the convenience store industry going forward? Lenard: The convenience store industry’s in-store sales have seen rapid growth over the last decade, as consumers seek out more food and beverages on the go. In-store sales in 2013 were led by continued growth in foodservice (2.4%), driven by prepared food and commissary. Retailers will continue to see growth, as the future of convenience is food. Convenience stores that move into prepared foods must act like restaurants. One way is to partner with a local fast food service or you can even poach a local sous chef. 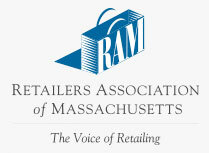 IR: How can retailers benefit from being a NACS member? Lenard: NACS provides members with the tools and resources to get better. We have a suite of State of the Industry benchmarking products that help retailers compare their operations to industry average – as well as the top performers. 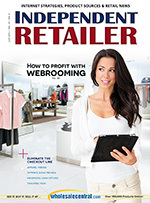 We also have tools that can help retailers become top performers. Our industry shares more ideas than any other channel. One example is our annual Ideas 2 Go video series. Every year, we visit about 10-12 stores and they share their best ideas on video. It’s something that we premier at our annual NACS Show in front of thousands of attendees. We are also putting many of them online. To view these, visit www.nacsonline.com/ideas2go.